Swatch of O.P.I. 's Gelato on my Mind, the base for my next mani. 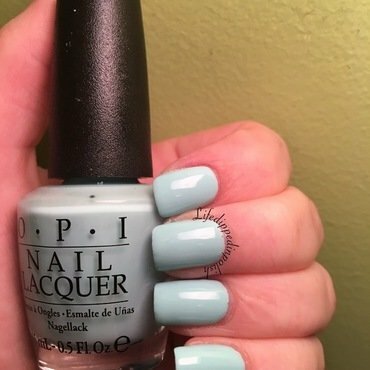 This is opaque in 2-3 coats and is one of my absolute favorite blues!